Sorry for this delay from my last story, this one will move away a bit from the central topic of wine, but you'll see that there are many issues in here which bring us back to a common core of truth and authenticity. I don't know anyway about locally-made wines in Taiwan although I'm aware there are a few indigenous spirits that I'll look into next time I travel there, but Taiwanese tea is definitely on the map for conoisseurs, the island having a relatively long uniterrupted history for cultivating the best of it. To tell it bluntly I'm not a tea person, but B. is, and her many years spent in Japan helped her develop an addiction to good tea, so it was very interesting to see her open up with what she tasted here, and also appreciating the intricacies of what we could call the Taiwanese tea-serving ceremony which is different from the handling of it in Japan, beginning with the size and shapes of the cups and tea pots. Anyway thanks to Rebecca (wine importer @ C'est le Vin) we had the chance to visit this tea farm where the young grower works naturally. You may know that tea growing faces the same dilemmas as viticulture, with most commercial plantations spraying chemicals on the leaves and the soil for conveniency [not to speak of the many ways to interfere with the final product through aromatic enhancers like it's done for cheap tea]. Here this grower works without chemicals or additives, and we were thrilled to learn that René-Jean Dard as well as Dominique Derain among others were also priviledged to discover this real-tea farm at the foot of the mountains... To get there, we took the hi-speed train to Hsinchu just outside Taipei and met Rebecca there, driving then to the Beipu area. Taiwan is a very green country, seems like as soon as you leave Taipei you're surrounded with forested hills and mountains, with streams and rivers everywwhere, this asks for more inroad trips to discover the countryside. 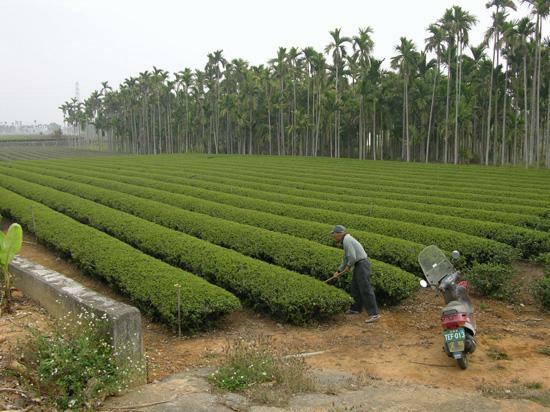 Gu Jing-Ran is the son of a family of tea growers who also manage a restaurant in their farm. The farm is located at some kind of altitude but not that high compared to other tea farms of the country. What makes Gu's work interesting is that he's started a few years ago making organic tea although his parents keep working conventional, this is a situation we encounter in Europe in the viticulture world, but it was surprising to witness the same duality here in a tea farm. Gu Jing-Ran is managing a small surface in the farm following his own age-old traditional way, growing his tea plants without pushing them and eschewing chemical spraying, having then the leaves dry without correction. Rebecca translated what the farmer said because he wasn't speaking any English. To complement the small tea plantation in ownership in the back of the farm, Gu Jing-Ran also rents parcels a couple kilometers from here where he has the same type of farming applied by the owners, and like for the artisan vignerons in the same situation, he goes there from time to time to check everything is made by his rules. We follow Gu Jing-Ran for a walk in the back on the farm along the slope where he has planted tea plants, these don't look very old, something like 6 years, some may be younger. He said last year was very dry, drier than usual and as he didn't irrigate, he lost quite a few of his young plants. The plants are organic farmed, so there are spiders and flying insects that move around as we pass by. He points to the upper leaves where a trained eye can spot here and there small insects or grasshoppers that are utmost important for having a great Oriental Beauty tea at the end : these bugs make themselves at home on the plant, and as they bite the leaves, this makes the plant release natural chemicals that will ultimately turn the tea leaves having a much better aromatic expression, from what I understand. Of course you have to farm organic to get these bugs roaming freely. At one point he showed us one on top of a tea plant but the time I could bring my lens close enough it was gone [always look first, take the camera second, i should know that, at least I'd have seen it at least]. The picture on the left is a reproduction from the farm's pictures showing such an insect. The young farmer picks a few of these leaves at the top of the plant, they don't necessarily show signs of bites or damage but the plant still produced the beneficial reaction to its unwanted host and thus will make great raw material for quality tea. He'll put these sample leaves to dry to show us how in a couple of hours they already begin to dry. He harvest normally the tea leaves from april to november, twice a month, and when this story was mùade in december the picking season was already over and the tea leaves dried and packed. We'd have loved to see the stage when the leaves dry, either in the sun or in special rooms but the season is over now. The farming is organic here and of course, unlike in conventional tea fields where grass and weeds have been wipped out with herbicides, you can see here a grass and weeds cover on the soil where insects thrive. Gullible tourists are usually impressed by scenic views in the tea plantations in Taiwan, like here or also here but like for clueless wine tourists elsewhere including France they're not trained (or not interested) on spotting the visual proof of heavy chemical/herbicide use on the field or vineyard, only the romantic landscape counts for them. These large fields are often in highly monoculture areas in a way that would Champagne blush, and the visitors are usually sold the story about high-altitude translating into the perfect tea but this commercial narrative omits the herbicide side as well as other practices. Here in this small farm there are also many birds, the area is really alive. At some point later he said that he noticed an striking improvement of the quality of the tea 5 years after organic farming. That's very interesting because that's very similar to what I hear in France from growers converting a vineyard, a couple of years may be enough for the certification but the vines & soil will really need a few more years to translate it into the wines' feel and vibrancy. That's also one of the reasons why other tea growers are wary of moving from conventional to organic, because they'll not see the results and returns immediately while having nonetheless to keep the effort in the plantation. As a compost here they use rice husk and coconut shells, in a grinded form I guess. Cocoa shells are used also sometimes as compost as well. Although this is not the picking season, Gu shows us what makes the best tea, these are the tender leaves at the top, possibly the yellow ones and also the ones showing bite marks, the brown marks left by the host insect. 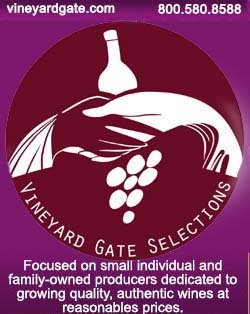 The picking can only be done by experienced pickers who know which leaves are best, he employs local villagers for that work. We smell the leaves but at this winter season the honeyish smell typical of these leaves is less intense than in summer. Once picked, the leaves will begin to ferment just like grapes, even though you will not have juice flowing of course, but a fermentation process will unfold chemically in the leaves that will begin releasing flavors appropriate for a later infusion use. From what i understand there's a stage when the leaves dry naturally and slowly under the sun while also fermenting, and later they'll use electric driers to complete the process. We began tasting tea, can't find the name of this first tea, just wrote on my notes that it was picked in may 2018 in a rented parcel. Flowery notes on the nose. The serving and preparation method follow strict rules, the temperature of the water, the time (seconds) during which the tea leaves soak in the water in a gaiwan (Chinese teacup with lid), after which the tea is swiftly dispatched to the waiting cups. The second time you make a tea batch with the same leaves in the gaiwan, you'll leave them soaking in hot water a few more seconds and so on, and the tea will taste differently of course. Gu Jing-Ran fills the cup using this spoon, with the tea leaves remaining in the gaiwan in the background. The second tea was picked in october 2018 in the estate plantation, the bag says october 7, which means the leaves were picked roughly a week earlier, this is called the winter tea. Rebecca says that she loves winter tea, it's more on the elegance side than the expressive aromatics. B. says that there isn't indeed any flower aromas in this one on the nose, she says in the mouth it's pure, very neat, and you feel the vegetal side, B. also loves this tea. The summer tea is more aromatic compared to colder months, we're told, and in winter there is more dew on the leaves, more substance accumulating in the leaves. B. finds this tea more honeyish. Rebecca says that this real, organic tea keeps warm inside when swallowed, unlike conventional wine for example which becomes cold and unexpressive once swallowed, she sees many similarities between the two beverages in this sense, wether in their "real" or conventional versions, there's a clear body response each time. B. asks if it's true that it's better to throw away the first water when you make tea, Rebecca translates the question to our host who says that the leaves are so clean and healthy that it's not necessary. But of course when you use conventionally-grown tea leaves you have residues and it may be safer to indeed let go the first water after infusion. I guess that's a detail you're certainly not told about when you visit these gorgeous tea plantations with a dead soil beneath. Speaking of water it's very important to remind that the quality of water is essential when you make tea (goes for whisky and sake also as far as i know) : in Taiwan the soil is volcanic with schist, basalt and other volcanic rocks, the water is consequently perfectly fit for tea preparation. There's nothing worse than calcareous water (limestone) for tea, choose your infusion water carefully, make tries if unsure, when living in a part of the world where limestone finds its way in the drinking water. At one point the young farmer says that his family has been growing tea for generations but he is the only one to work differently, he leaves the rest of the family deal with their parcel in their own way, but he's content with farming organic on his own surface. Rebecca has been exchanging with him for a long time because her own family has always used to come here now and then, and since Rebecca knows about organic farming and biodynamic viticulture, they can connect even better because he feels common ground with his own practices when he listens to what Rebecca experienced with her growers. Although he never left Taiwan and lives mostly disconnected from what the rest of the world does, including other same-minded growers abroad, he could thanks to Rebecca know he's not alone. Rebecca says that considering the state of affairs of teamaking in Taiwan today, Gu Jing-Ran is maybe in the position of people like Dominique Derain or Olivier Cousin a few years ago, he just makes what he thinks is right and true, and doesn't care about what the others are doing. Asked if he knows other growers who work and think like himself, he says no, and there's something in the Chinese culture that even makes difficult for him to buy tea from other growers to try, they don't understand and are wary, so he has friends go buy some tea for him when he wants to see what other growere are producing. We then tasted what would be the equivalent of a Grand Cru (picked november 7 if my notes arre correct), an Oriental Beauty type of tea. The grower says it's the best tea ! Smells rich and generous indeed, B. burst with compliments, so good, she says, and I know she's so much subtle and knowledgeable for tea qualities, unlike me. The grower says that tea can be so good by its own, why bring smoky aromas like it's done sometimes with chamomile ? I get that, makes me think to these oenologists who push to replace pale-colored subtility with extraction. We also had black tea, it was obviously more earthy, more masculine. We were lucky to taste Gu Jing-Ran's best selection during this visit, something he doesn't do in general because his production is so small. In case you visit, try the lunch on weekdays (they also serve dinner on weekends), it's terrific, many small dishes among which you pick, it's Hakka cuisine. I'll add the map location link soon for this farm/restaurant.